When we think of facials, we visualize ourselves lying down on a soft mattress in a dimly-lit room listening to some soothing music. This is probably why you won’t particularly cherish the idea of having someone rub an ice cube on your face or splash ice cold water on it. 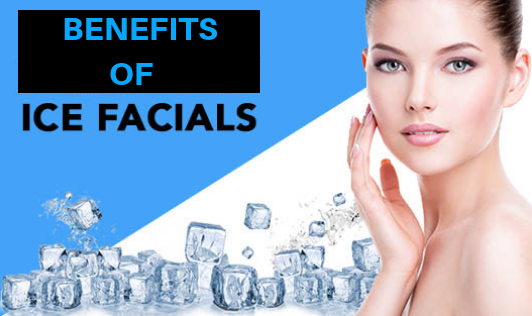 But believe it or not, ice facials are the new ‘in thing’ for beauty treatments, primarily because they provide some amazing health benefits in the most inexpensive way possible. Eases Redness of the Skin: Whether it’s sunburn or a bad skin reaction to some cream, ice water will help. Not only does chilled water ease the redness on your face, but it also evens out your undertones. Fights Wrinkles: If you fear wrinkles then, instead of spending big bucks on expensive wrinkle-fighting creams and retinol you should definitely try this cheap natural therapy. Dunking your face in ice-cold water can actually fight lines on your face and keep your skin soft. Tightens the Skin: Do you have huge pores, that won’t shrink no matter what you do? Go for an ice facial then. Cold water tightens the pores and gives your face a soft, smoother look. Hides Hangover: A night-long booze party will definitely show up on your face the next morning. If your night out with your friends got a bit crazier and you ended up with just a few hours of sleep, then nothing will wake you up like some chilled water splashed on your face. Makes You Look Fresh & Clean: Ice facials make your skin wake up, making it look cleaner and fresher. So the next time you want your skin to immediately feel smooth, bright and tight, or combat spots quickly, go for a polar plunge.